Each character from this special group of 5 one of a kind St. Catty’s Folk Art Originals is up for adoption! Before requesting an original work of art, we ask that you review the details. Please CLICK on their individual frames BELOW for more photos, descriptions and prices. As these are One of a Kind, Fine Art pieces direct from Johanna's studio, prices of original art reflect the time and attention to detail that both Johanna & JP pour into each hand sculpted folk art creation. Thank you for your folk art appreciation! 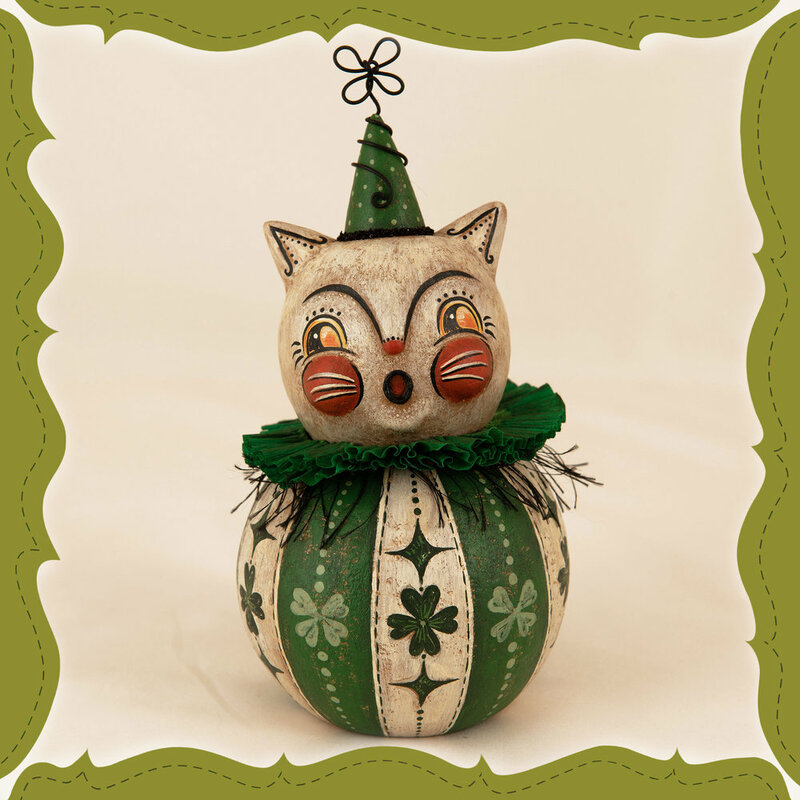 * To request a collectible folk art character, please EMAIL Johanna. Your Subject must include the LETTER CODE associated with the piece. If available, items will be reserved after your shipping address and phone number are received. Once confirmed, JP and Johanna will prepare your package, and you will receive an emailed invoice to complete the adoption. Please allow for a couple+ days for the JPs to prepare your order and finalize the sale. UPDATE: ALL St. Catty’s Cat originals have SOLD!